Culminating in a tight 3-2 win by Sweden over Switzerland after a penalty shootout, the 2018 IIHF Ice Hockey World Championship in Denmark marked another record-breaking season for the International Ice Hockey Federation (IIHF). Infront – the exclusive media and marketing partner of the IIHF for the World Championship – joined forces with the IIHF and the Local Organizing Committee to deliver a spectacular tournament for fans in the stadium and those watching on TV. Thanks to this collaboration, winter sports’ biggest annual event also became the biggest event (sport or non-sport related) to be hosted in Denmark to date. More than 520,000 people headed to the ice rinks to witness first-class live ice hockey action, marking the sixth-highest attendance in the history of the IIHF Ice Hockey World Championship. Once again, Infront guaranteed extended TV coverage, ensuring broadcasting in over 160 territories. This resulted in over 8,000 hours of coverage worldwide and a cumulative audience of 1.237bn, making it the third highest audience figure in the history of the tournament. The final between Switzerland and Sweden notched a peak of 2.5m viewers on Swedish TV3, for a sensational 80 per cent viewing share. Swiss fans tuned in to keep the dream alive of seeing Switzerland crowned champion with the average viewership peaking at around 1.5m, a clear record number for the Alpine nation. These figures position the 2018 IIHF Ice Hockey World Championship, staged in Copenhagen and Herning from 4 – 20 May 2018, as one of the most successful to date for the International Ice Hockey Federation. One of the biggest highlights of the tournament was the introduction of virtual advertising brought by Infront in partnership with tech-company Vizrt for the first time in the history of the World Championship. Four rink boards of four meters each at the Royal Arena in Copenhagen were virtually overlaid using an innovative, machine-learning driven solution. Spectators in venue saw green IIHF branded boards, while fans watching on TV in Russia, Kazakhstan and Belarus saw a completely different sponsor message. This initiative outlines the potential of virtual advertising, which allows brands to regionally market messages on a global level, delivering new value to sponsors – and more relevance for fans. To improve fan engagement, Infront integrated new partners into the media offering. The results brought added value to the tournament with WSC, for example, automatically producing over 5,000 professional quality videos. 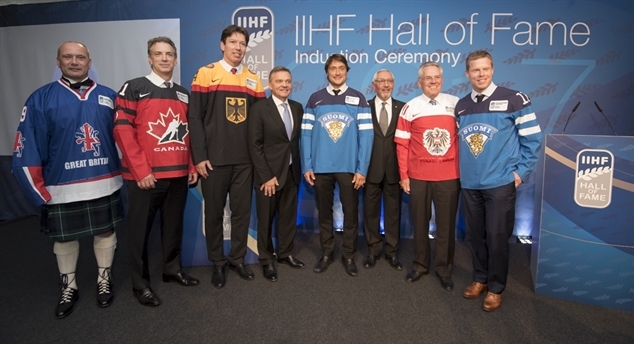 The best of those videos were shared across IIHF social platforms combining to reach over 12 million views. This year, IIHF and Infront’s digital team also introduced a completely new, redesigned IIHF event website to complement a more engaging social media strategy. Using a new tone of voice and more live content, over 4,200 posts (including over 1,400 videos) were published across all social media channels. The focus is already on next year’s tournament in Slovakia from 10 to 26 May 2019 in the cities of Bratislava and Kosice. It will be the second time (after 2011) that Slovakia hosts the World Championship independently. The game schedule was released earlier in August and will see Group A play in Kosice and Group B in Bratislava. Looking further ahead, after Slovakia the next World Championships are already set to take place in Switzerland in 2020, Belarus and Latvia in 2021 and Finland in 2022. The IIHF Council recommended a proposal of the IIHF Women’s Committee during its recent meeting in March to extend the number of participating teams in the IIHF Ice Hockey Women’s World Championship from eight to ten teams. All national associations participating in the program have been informed accordingly about this idea following the meeting to ensure the teams are aware of the initiative ahead of this year’s tournaments. 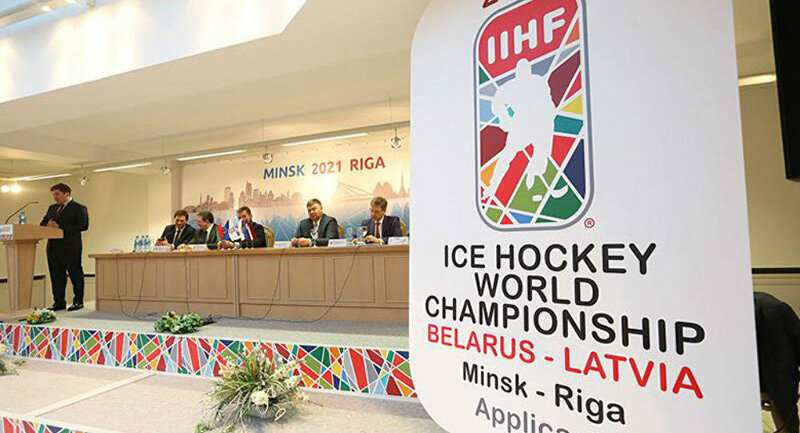 With the increasing number of participating teams – 37 countries are entered in the Women’s World Championship program in six tournaments – and the increasing competitiveness the proposal is to extend the number of teams in the top-tier event to ten teams as of the 2018/2019 ice hockey season and with this step aim for having ten teams at the 2022 Olympic Winter Games in Beijing. The top division has been played with eight teams ever since the first tournament in 1990, the only exception being the 2004 edition that featured nine teams (when one team was promoted but no team was relegated in 2003 due to the cancellation of the tournament in China because of the SARS outbreak). No team in the entire 2017 IIHF Ice Hockey Women’s World Championship program will be relegated. Teams winning their division in the 2017 IIHF Ice Hockey Women’s World Championship program will be promoted to the next level as usual. Similar like during the last Olympic year, the 2017/2018 season will not include a top-level Women’s World Championship due to the 2018 Olympic women’s ice hockey tournament while the other divisions will be played in 2017/2018. At all these tournaments the winning team will be promoted to the next level and no team will be relegated. These steps will create a ten-team top division for the 2019 IIHF Ice Hockey Women’s World Championship in Finland while the other divisions will operate with six teams as usual. If the proposal will be approved, the IIHF Competition and Coordination Committee will work with the IIHF Women’s Committee to create the best possible playing format for the new ten-team IIHF Ice Hockey Women’s World Championship starting in the 2018/2019 ice hockey season. The proposal does for the moment not change anything in the events of the 2017 IIHF Ice Hockey Women’s World Championship program meaning that the last-ranked team in each division is considered relegated until the eventual approval of the new format in May and the best-of-three relegation round will be played at the 2017 IIHF Ice Hockey Women’s World Championship currently taking place in Plymouth, Michigan, USA, knowing that there are two possible outcomes for next season pending Congress’ decision about the new format.